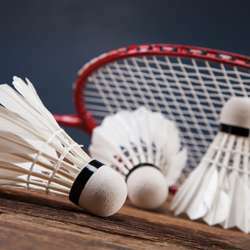 Please join us for Sunday morning badminton at Protected content (Kensington LC was booked out entirely) from 11am until 1pm. Price for court hire is £4 per player assuming we get 6 players (cash or transfer ok but please message me for my bank details if the latter). Any questions or issues, please contact me on the number provided. Looking forward!